Fr Doyle featured in a programme on Irish television this evening. The section dealing with his life is about 6 minutes long, and features some comments from me and some footage from his family home in Dalkey, including an interview with the current owner. 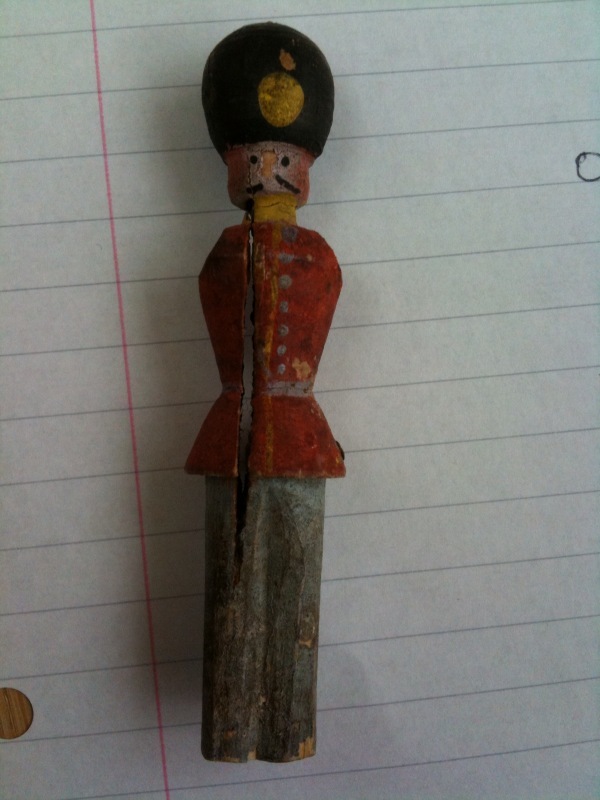 We also get to see an old toy soldier that was found under the floorboards of the nursery a few years ago. Fr Doyle and his brother Charlie loved playing with toy soldiers. Perhaps this was one of them? Perhaps the young Willie Doyle cried when the soldier got lost? We won’t ever know for sure. A toy soldier found under the floorboards in Melrose. Perhaps this is one of the soldiers young Willie played with? 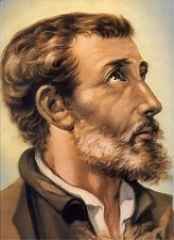 The most interesting part of the programme was footage taken in the Jesuit archives. 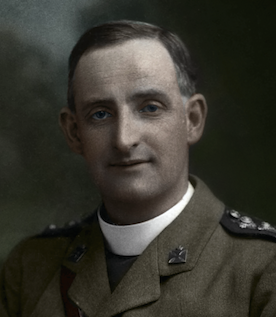 We get to see some artefacts or “relics” associated with Fr Doyle’s time in the trenches – altar linen he used for saying Mass, a cushion he kneeled on, a bar of soap… We also get to see some of his private instruments of mortification, including his cilice, his discipline and the counting beads he used to count his daily sacrifices and penances. The saints had ever a childlike confidence and trust in God. Upon Him they cast all their anxieties and cares, under His powerful protection they sheltered themselves, and with His almighty help they were ever strong. They lived in the present day alone, striving to bear with cheerful hearts the burden of the moment; the morrow’s work would bring its stream of graces to help them on their journey. Advent is a time of spiritual preparation for Christmas, and we should attempt to live it with the same enthusiasm with which we attempt to live Lent. Advent is here. What a marvellous time in which to renew your desire, your nostalgia, your real longing for Christ to come — for him to come every day to your soul in the Eucharist. The Church encourages us: Ecce veniet! — He is about to arrive! 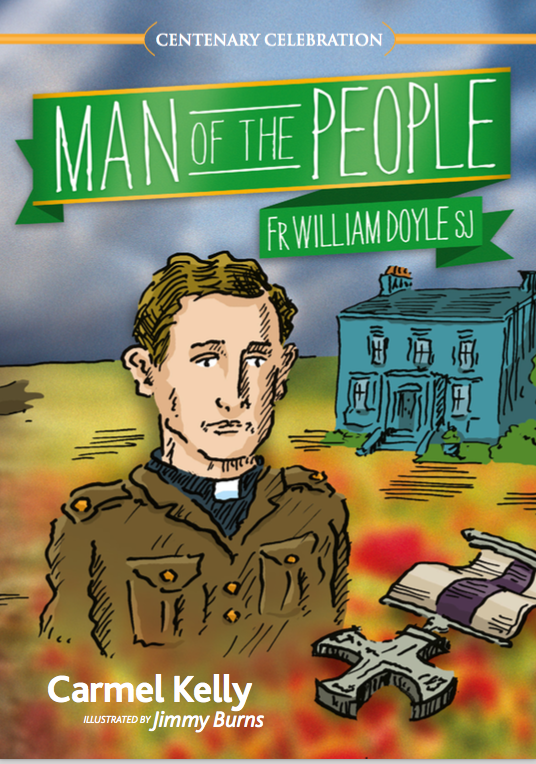 Let us then have the childlike confidence and trust in God to which Fr Doyle exhorts us today. We can count on many graces to help us over the coming weeks as we prepare to encounter the baby Jesus, born in poverty in a broken world, all for love of us. 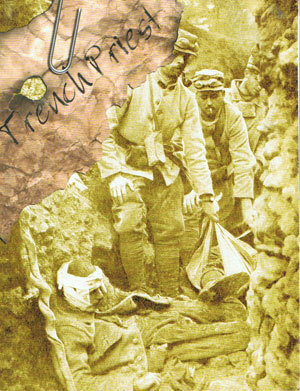 Spirit Level, a programme on RTE 1 television (in Ireland) has a programme tomorrow on Just War. 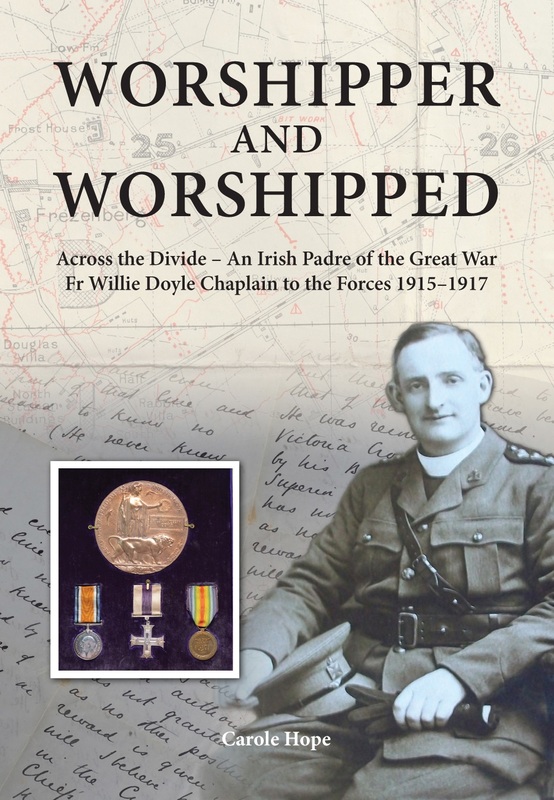 As part of this programme, there will be small segment on Fr Doyle and his life as a chaplain in World War 1. I was interviewed for the programme, and some filming was also done in the Irish Jesuit archives, as well as at Fr Doyle’s family home in Dalkey. I don’t know what will make the final edit – we will just have to wait and see. Irish readers may want to watch the programme at 17.05 on Sunday evening. I will also post the link to the programme after it has aired. 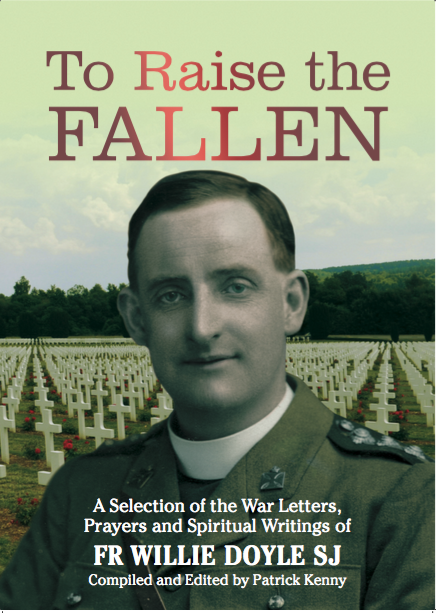 Spirit Level, a programme on RTE 1 television (in Ireland) has a programme this coming Sunday on Just War. 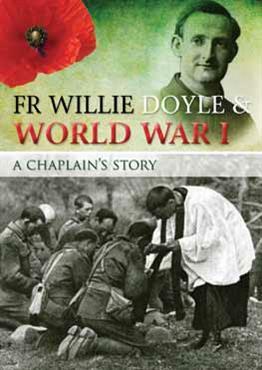 As part of this programme, there will be small segment on Fr Doyle and his life as a chaplain in World War 1. 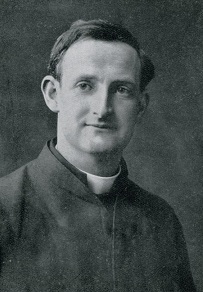 I was interviewed for the programme, and some filing was also done in the Irish Jesuit archives, as well as at Fr Doyle’s family home in Dalkey. Thanks a million times, dearest Jesus, for all Your goodness. I will love and serve You now till death. COMMENT: We sometimes refer in passing to events in Ireland on this blog. But there are many readers of this site from outside Ireland. Today in particular we think of our American friends who celebrate Thanksgiving today. Even those who face troubles and woes of various types have much to be thankful for. The Lord has given us life and faith and many other blessings and graces all throughout our lives. He has protected us from problems and difficulties that we may not even be aware of. Most importantly of all, He desires union with us for eternity and designs all things to this end. We just need to co-operate with His plan and rely on His grace. Let us be thankful for everything, for all we have comes to us as a gift from our Father.